Sorry, no, not the Duran Duran song from the '80s... this is the Chanel powder "blush" called Notorious. Seriously extremely LE (and therefore, I Had to have it) and only available in Ireland through the Chanel Boutique in Brown Thomas, I've been waiting on this one for a while (it launched, like a lot of the very LE Chanel makeup, a few weeks late). As most of you who have read this blog from time to time know, I have an obsession for all things contour-y. And this is no different. 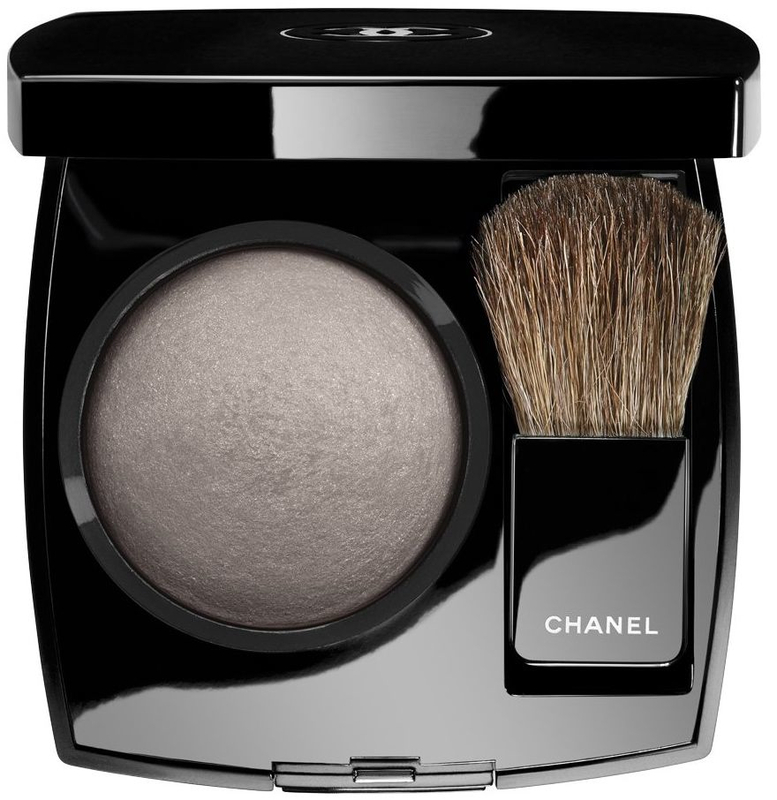 Notorious is apparently a "blush/shadow hybrid" powder, from the same Chanel Ready to Wear Fall 2012 Contrastes Essentielles Collection that gave us such lovelies as Frenzy and Vertigo, and is, according to Chanel, a "unique mauve-taupe powder acts as a sculpting veil for eyes and face, subtly defining features for a sophisticated, stylishly contoured effect". Yup. It is that strange "griege" shade, a dirtied, greyed, slightly blue, slightly lavender, coolish brown toned almost taupe* colour. * I know I know, taupe isn't a colour. Stop being pedantic and let's get on with it. In other words, it's the perfect mix of shades that add up to an ashy cool grey that gives a wonderful impression of a shadow. Which is not warm or frosted, not sparkly, not orange-toned (like most bronzers). I can create razor cheekbones on myself with this (and I don't have them, believe me). It has the tiniest, slightest, barely imperceptible sheen to it, which I think would be probably needed to take what might otherwise be a corpse-blue dead look to it if it were more matte and chalky. But it's not shiny or metallic or frosted. This is an incredibly subtle sheen. Blush/shadow hybrid? Hmmmm. I found it creased, and creased badly on my lids, and after very little time (which were rather radically sans primer, I should point out however). Blush? Don't use this on your cheeks unless you like the corpse look. This is a contour product. It's for creating a shadow. It does it brilliantly. Just blend the bejesus out of this, it really seriously needs blending. Because a little really goes a long way with this stuff. If you can get your mitts on this, I highly recommend.